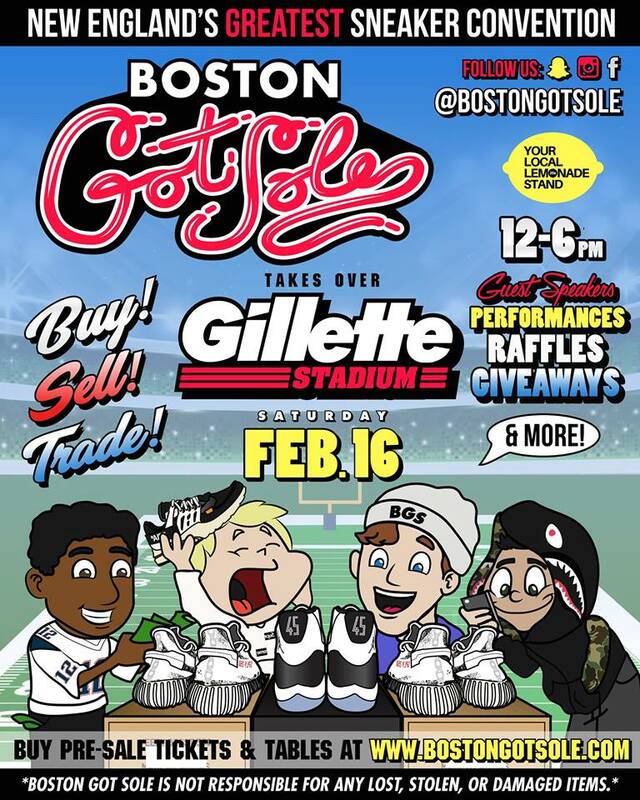 Boston Got Sole is New England’s Greatest Sneaker Convention, and has hosted nineteen conventions since its founding in 2013. A sneaker convention where sneakerheads/enthusiasts buy, sell and trade footwear and apparel. With basketball tournaments, special guests, live performances, raffles, giveaways, and much more! Run by Jonathan DiModica and Joseph DiModica of Weymouth, Massachusetts. Boston Got Sole has worked with companies like Microsoft, Reebok, Concepts, and more! Boston Got Sole has been featured in major publications like the Boston Globe, BC Heights, and more! Boston Got Sole’s goal is to bring people from all around the east coast together to share their passion for fashion and footwear.